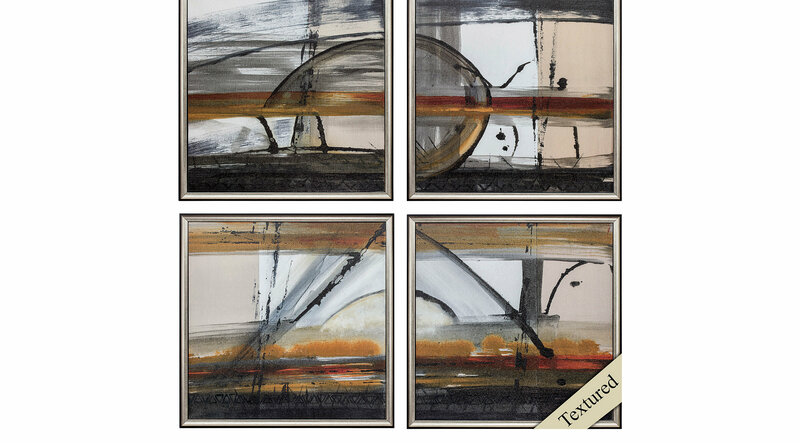 Set of 4 abstract images that have a hand-applied acrylic overlay. The acrylic dries with a textured look and feel. They are then framed to size without glass in a contemporary silver molding. Comes ready to hang and is hand assembled in the USA!